China’s manufacturing sector must reinvent itself if it’s to survive « Adafruit Industries – Makers, hackers, artists, designers and engineers! 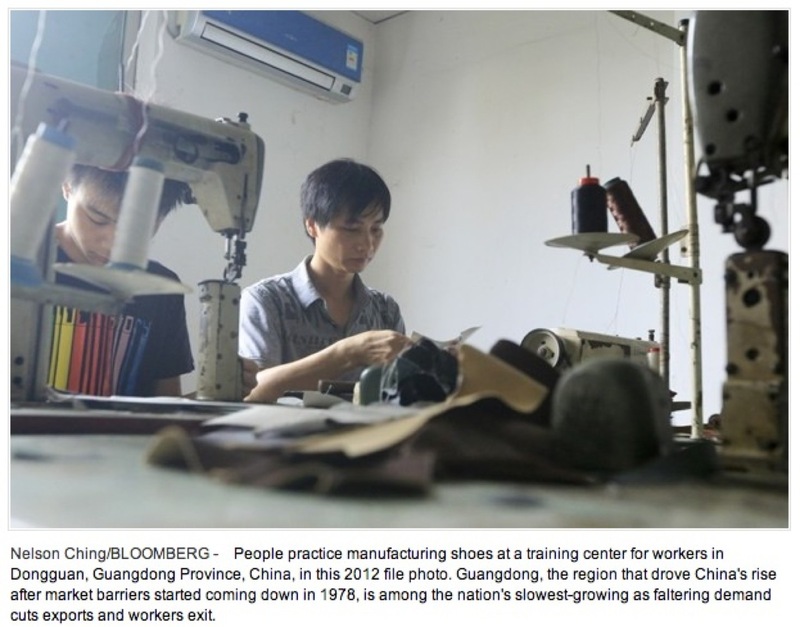 China’s manufacturing sector must reinvent itself if it’s to survive @ The Washington Post via Nick. This city on China’s Pearl River Delta was once a manufacturing boomtown, a place that made so many different things, from toys to shoes to furniture, that it became known as “the world’s factory.” Migrant workers came from all corners of the country to work here, often taking jobs that used to be in the United States. But these days, it’s Dongguan that’s losing jobs and eyeing the United States with some envy.